The iconic "School Series" that ran from 1999-2002 gets a serious reboot more than ten years later. This new installment features a cast of millenials engaging with contemporary high school life, concerns and dreams. Jang Na Ra and Daniel Choi star as two teachers who will hopefully be able to turn a class of delinquents around. But what do you get when you pack the entire spectrum of high school into one small room? More drama than four years can handle! [Orion's Daily Ramblings] Lee Jong-suk, Shin Hye-sun and Lee Ji-hoon-I Reunite for "Hymn of Death"
Kim Da-ye joins SBS's "Doubtful Victory"
[Interview] "Secret Forest" Shin Hye-sun, "I'm lucky to have been in it"
Actress Shin Hye-sun's Blessed with all the Top Actor Partners? Lee Ji-hoon-I to join Lee Min-ho, Jun Ji-hyun in "The Legend of the Blue Sea"
Bae Yong-joon happy about his first production movie "Proof of Innocence"
[Interview] "Twenty" Kim Woo-bin, "I didn't know what to do about the extreme lines"
Take off for Song Joong-ki and Yoo Seung-ho or solidification for Kim Soo-hyun and Lee Min-ho? Gil Eun-hye to star in "Orange Marmalade"
Choi Daniel in "Big Man"
Lee Jong-suk, "I realized what was missing"
Hwang Jung-eum revising KBS "Secrets"
Korean drama of the week "School 2013"
Lee Bo-young, Lee Jong-seok and Yoon Sang-hyun in "I Hear Your Voice"
Lee Jong-suk and Seo In-guk in "NO-BREATH"
Lee Jong-suk, "I thought popularity dies after the drama"
Jin Goo, where's the tough guy? 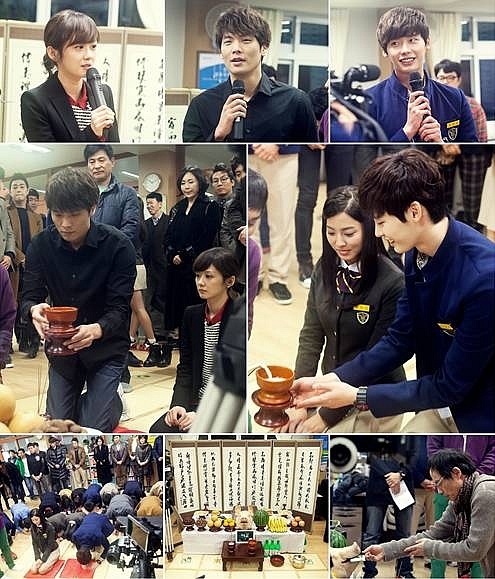 "Ad Genius Lee Tae-baek" Han Chae-young's charms? Jin Goo, Park Ha-sun and Han Chae-young to star in "Ad Genius Lee Tae-baek"
"City Conquest", where to be planned? 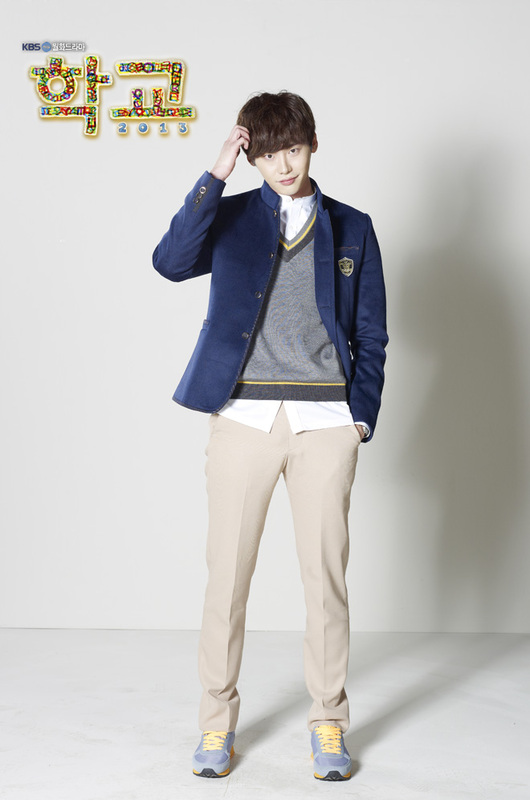 Lee Jong-suk, how will he pull off the character? 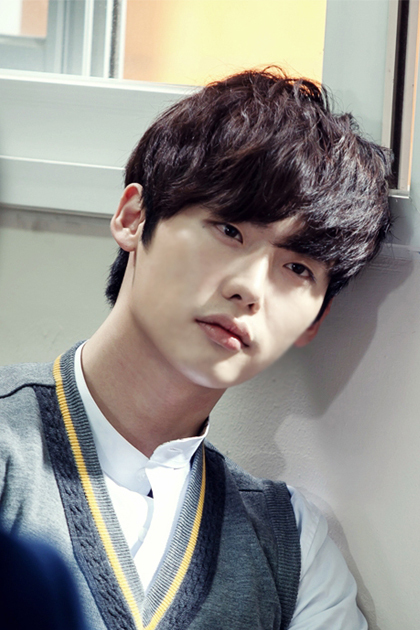 Added new images for the upcoming Korean drama "School 2013"
Narsha "I know the ending~"
Updated cast for the upcoming Korean drama "School 2013"
[Video] Added poster and teaser trailer for the upcoming Korean drama "School 2013"
Added stills for the upcoming Korean drama "School 2013"
[Video] Trailer released for the upcoming Korean drama "School 2013"
[Exclusive] Hwa-yeong's twin Ryu Hyo-young cast for "School 2013"
'Rising stars' Kim Woo-bin and Lee Yoo-bi for "School 2013"? 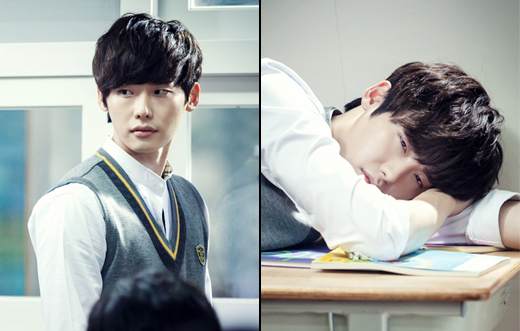 Upcoming Korean drama "School 2013"
KBS "'School' to be made into a drama"
View all 208 pictures for "School 2013"